The tagline “a band that boasts two drummers” should be enough to outline what The Holy is all about: massive sound with a dynamic that’s wiry, fierce and slightly fashionable. 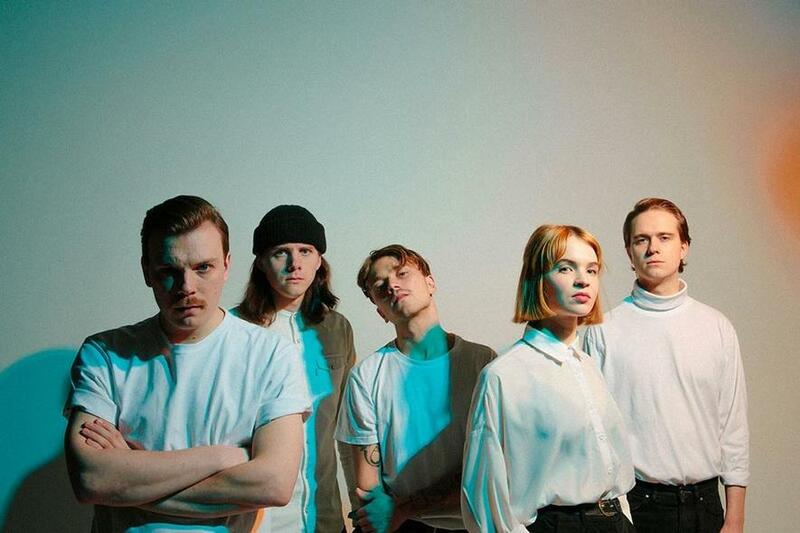 The almost 5-year-old quintet from Helsinki draws inspiration from Tom Petty’s and Bob Dylan’s vivid storytelling to more obscure touchpoints like The Hooters and more apparent influences like Arcade Fire and U2. They build a musical style that flirts with post-punk and is consistent and lush, but never in a way that suffocates you with the fumes of its polish. For example, “Fanfare III” opens with caustic indie rock before transforming in a melodic, yet intense, piece; or “Can’t Remember Your Name”, limber and loose in the way it breathes and seethes. In their debut album, Daughter, released in September 2018, the band takes on a political theme that openly reflects their own experience. It’s about a boy growing up during the severe Finnish financial crisis of the 1990s and realizing later in life that much of the depression in his youth was related to social problems, such as unemployment, class discrimination and social unrest. It’s pretty close to Bruce Springsteen’s working-class trudge but the indie rock instrumentation unfolds to reveal buried synth sounds and post-punk passages, leaving no stone unturned in their nuanced production and deceptively simple presentation. The Holy, they dare; and they’re good.